William Frederick Woodington died in 1893 aged 87. He was an artist and sculptor of note, and among his papers was a short account of his life, mostly concerned with his Sutton Coldfield childhood. In 1898 this memoir was published in a local magazine “The Warden”, under the heading Our Native Sculptor. The Woodingtons lived in Sutton at the Three Tuns hotel in High Street. This was the principal hotel in Sutton, catering for the gentry, and it was also the post office. The Sheffield Mail came through at 10.00 a.m., returning at 3.00 p.m. with mail from Birmingham, while from Liverpool and Manchester the Liverpool coach passed through at 4.00 a.m., the bag being thrown through the open window of the Three Tuns as it thundered past. In London he was apprenticed to an engraver who then took up sculpture. In the 1850s his huge paintings of biblical scenes, such as The Angels directing the shepherds to Bethlehem of 1853 were much admired, and he received many commissions for sculptures, including a relief on the plinth of Nelson’s Column in Trafalgar Square. Although he returned to Sutton only once, some of his last watercolours were of Sutton scenes painted from memory. 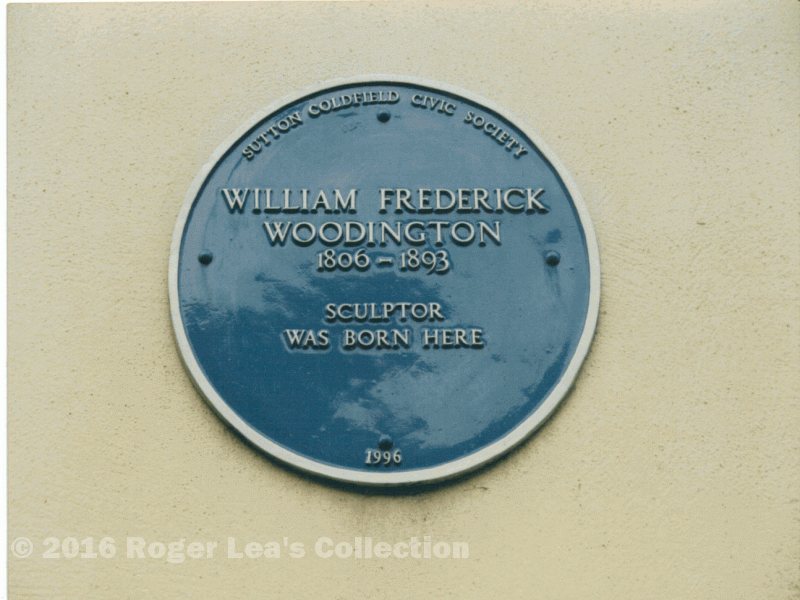 A new school at Falcon Lodge which opened in the 1950s was named Woodington Infants and given the Woodington statue. 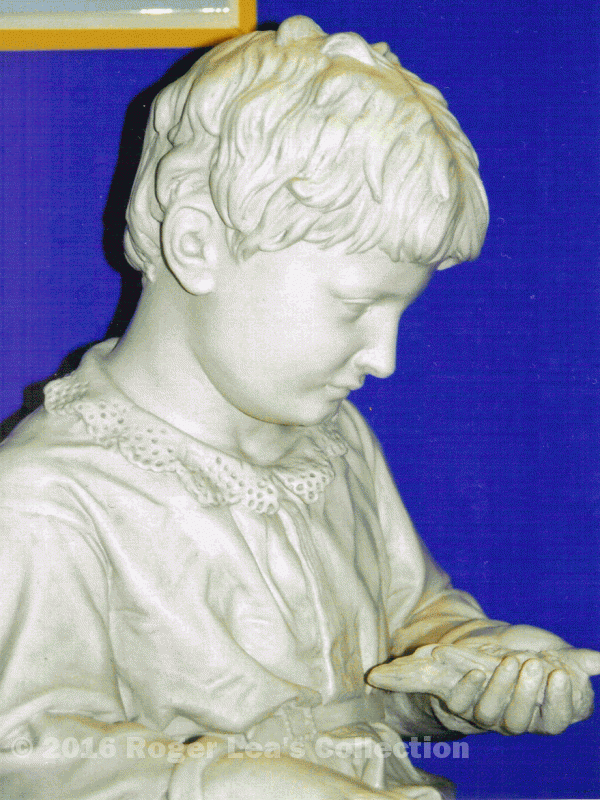 Later, the school was renamed New Hall School and the statue was discarded, only to be rescued and put on display at the new Town School in Ebrook Road. It has since been restored and now has pride of place at Holland House School. A blue plaque on the wall of the Three Tuns commemorates our native sculptor.